The Mazda Guild 2018 program has been finalized and we extend our congratulations to all of the winners. 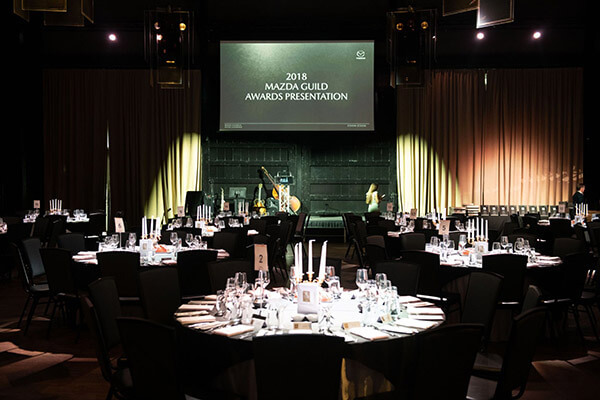 Many of the Mazda Guild Sales, Parts and Service team members have delivered outstanding performances throughout the past year and, as a result, the top achievers have been rewarded with Mazda Guild 2018 Master Membership. Master Membership status is the highest level for the Mazda Guild. This prestigious recognition is awarded to only those Managers, Consultants, BT-50 Specialists and Frontline staff who have achieved exceptional results across all areas of assessment. Please find listed below the Mazda Guild 2018 Master Managers, followed by Mazda Guild 2018 Master BT-50 Specialists, Sales Consultants and Master Service Frontline Staff. Congratulations to all these high performers. Each winner has demonstrated their commitment to the values of the Mazda brand and has shown a high level of dedication to the pursuit of the perfect customer experience. All the best for Mazda Guild 2019. 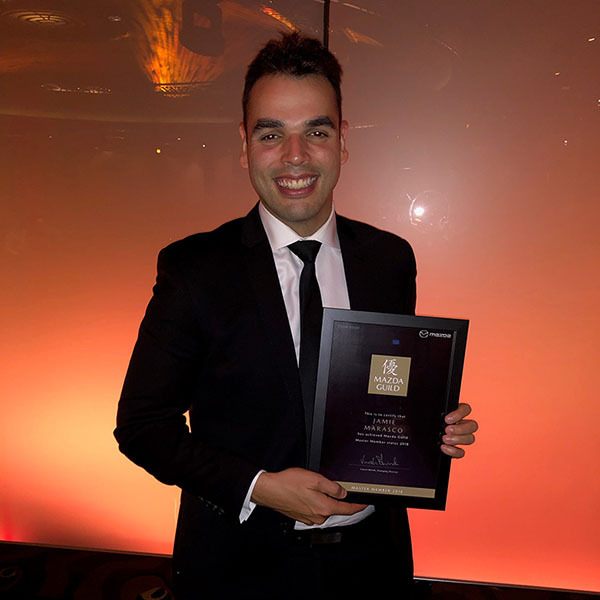 Werribee Mazda is very proud to announce that our New Car Sales Manager, Jamie Marasco was awarded the Mazda Guild Award last week. The Mazda Guild is designed to recognize and encourage outstanding individual performances across the Mazda Dealer network. 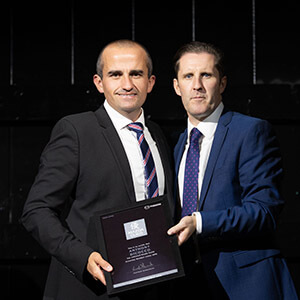 We Congratulate Jamie for receiving this prestigious award which is a measure of excellence and only awarded to Mazda Australia's top performers in recognition of delivering outstanding performance. Werribee Mazda is proud to have achieved the coveted 'Master Dealer' status for the 20th time since the scheme was initiated in 1994. 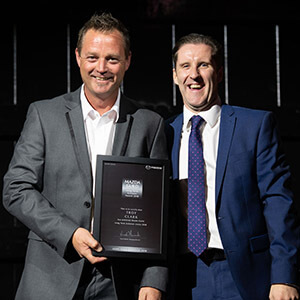 This award recognises the top-performing dealerships in terms of sales, performance and customer service. One of very own dealer principals Paul Zele received this prestigious award on behalf of the team. MAZDA, Kia and Ferrari are among the motor vehicle brands to announce major category winners in their respective 2018 retail incentive programs, saluting their top-performing dealerships and the essential role they play in key areas such as sales performance and customer service. The nation’s number-two brand, Mazda, again highlighted 14 dealers on an equal basis that excelled in its 25th annual Master Dealer Excellence Awards program, with Wippells Autos from Toowoomba in Queensland still standing tall as the only Mazda dealership to have reached this level every year since the scheme was initiated in 1994. 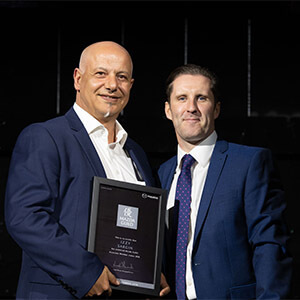 Paradise Motors in Adelaide made it 23 out of 25, while Ringwood Mazda (21) and Werribee Mazda (20) in Melbourne are the only other dealers to have achieved the coveted ‘Master Dealer’ status more than 20 times. 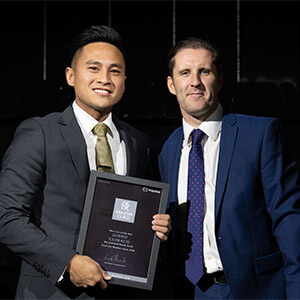 Two first-time winners were welcomed into the fold: South Morang Mazda, a new dealership also in Melbourne, and Wide Bay Mazda, which operates at Hervey Bay and Maryborough in Queensland. 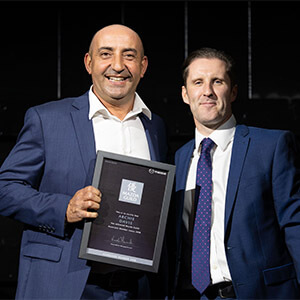 The other standout Mazda dealers in 2018 were Hornsby Mazda (NSW), Mareeba Mazda (Qld), Port Lincoln Mazda (HV Motors, SA), Mawson Lakes Mazda (SA), Graeme Powell Mazda (Vic), Mount Gravatt Motors/South City Mazda (Qld), Penrith Mazda Centre (NSW) and Ballarat Mazda (Vic). Mazda’s program is divided into groups based on sales volume and business targets across its national network, with the award based on key performance index (KPI) data across various aspects including facilities, business processes, people development, sales results, financial management and customer satisfaction. Announcing the winners at a presentation ceremony in Adelaide, Mazda Australia sales director Jarrod Gieschen said: “A highly motivated and passionate group of dealers is absolutely integral to the success of Mazda Australia, and the Mazda Master Dealer program gives us an opportunity to celebrate their efforts. 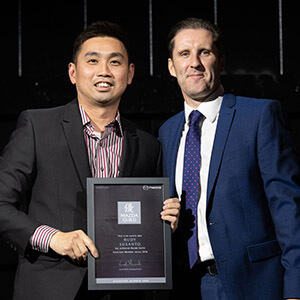 Queensland was also in the spotlight at Kia Motors Australia’s 2018 Dealer of the Year awards, with Motorama Kia (Moorooka) in Brisbane taking out the South Korean brand’s National DOTY title and Northern Regional DOTY award. 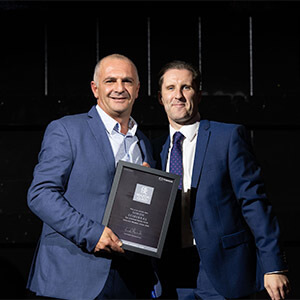 Dealer principal Simon Guthrie and Motorama Group managing director Mark Woelders were on hand to accept the awards, while Motorama’s Browns Plains dealer principal Carl Martin also received a separate ‘World Platinum’ award. 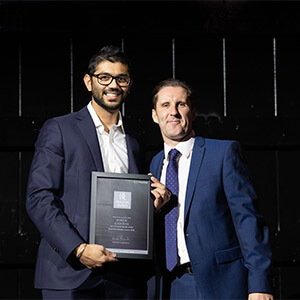 The other regional Kia DOTY award winners were Great Western Kia in Kingswood, NSW (Eastern), Wayne Phillis Kia in Reynella, SA (Central), Echuca Kia in Victoria (Southern) and Midland Kia in WA (Western). 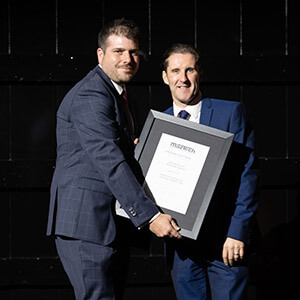 Ferrari Australasia has also celebrated the achievements of its small, exclusive network in Australia and New Zealand, with Ferrari Sydney – part of the McCarroll’s Automotive Group and led by dealer principal Simon McCarroll and general manager Angelo Ruberto – named 2018 Dealer of the Year. 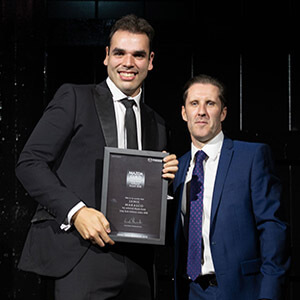 The Sydney dealership’s Mario Guerrera also won the 2018 Sales Manager of the Year award, while Barbagallo Ferrari in Perth had the two other major category winners with Emanuele Pavone crowned Aftersales Manager of the Year and Adeline Tay named 2018 Sales Manager of the Year. Sydney Ferrari’s last won the DOTY title in 2016, while last year’s winner was Continental Cars in Auckland. Among those present at the Italian supercar marque’s awards presentation ceremony in Sydney was Ferrari’s global senior vice-president of commercial and marketing Enrico Galliera, head of Ferrari Far and Middle East Hub Dieter Knechtel and Ferrari Australasia CEO Herbert Appleroth. “We’re proud to recognise our extended Ferrari family who share our passion for excellence in customer service and the preservation of the Ferrari brand,” Mr Appleroth said. Ferrari says the DOTY award selection criteria is based on “the highest achievement in areas of sales, proactive customer engagement through localised marketing initiatives and quality of aftersales retention”. To read the article on Go Auto News please click here.